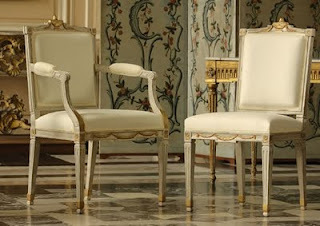 Dimensions of the antique armchair : 97 H x 60,5 W x 47 D cm. Original : Private collection, Eastern Belgium. 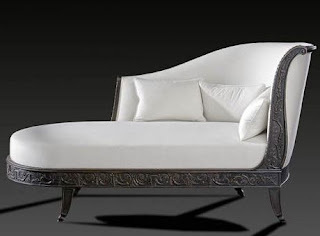 These eminent pieces offer up an integrity for elegant dining. 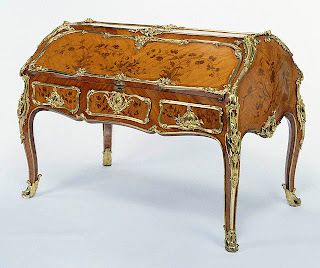 The straight form is well presented but punctuated with delicate curves at the armrests and a classical Furniture disposition expressed in the wood portraying a certain sober quality. 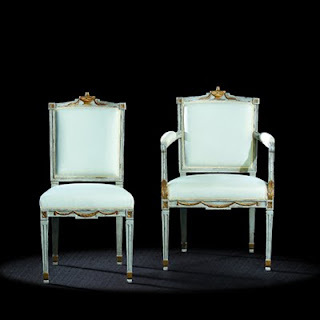 The fluting, garlands of laurels, vases and lamps are all representative of classical styling Chair that underlines this agreeable frame, easy to place in a large number of décors.